By the end of the sixties the Chinese-Soviet relations hit the bottom. In 1969 the Turkestan Military District was divided into two parts. 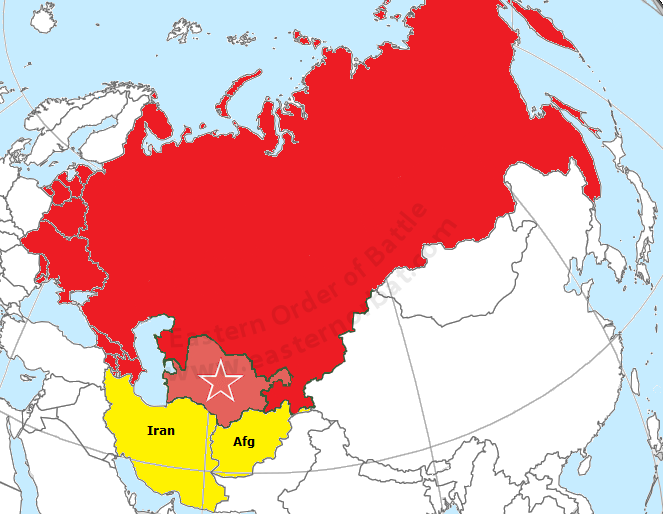 The Central Asian Military District was formed on the territory of Kazakhstan. 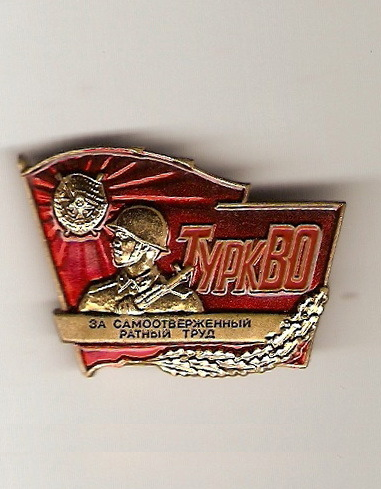 Its mission was to protect the Soviet-Chinese border. The Turkestan Military District was formed on the territory of Uzbeg and Turkmen Soviet Socialist Republic. The Imperial Iran was kept at bay by them. Mostly the Turkestan Military District's units fought in Afghanistan between 1979 and 1989. The 115th Fighter Air Regiment's special camouflage MiG-21bis in 1979.